A construction contract document is a valid document can be enforced under certain authority or law. At early stages for any construction project, owner with his engineer or consultant prepares necessary documents for tender process which will be included in the contract. These documents are called contract documents. Conditions of contract are terms which rule the relationships between the owner and the contractor, define each party’s rights and obligations, specify method of payment and determine actions required when existing any disputes between the owner and the contractor. They are the modifications required to suit the uniqueness of the project, make the contract flexible for the nature of the project and achieve project objectives. One of the characteristics of construction projects is uniqueness. Every project has its special circumstances, so it’s important to select the contract type which suits the project. The process of selecting the type of contract is developed by the owner. The type of contract should meet with project objectives. There isn’t any construction project without constraints. Thus, project constraints should be considered while selecting type of construction contracts. Project delivery method determines the relationships between parties getting involved in the project and how they interact with each other from project initiation to project closure. 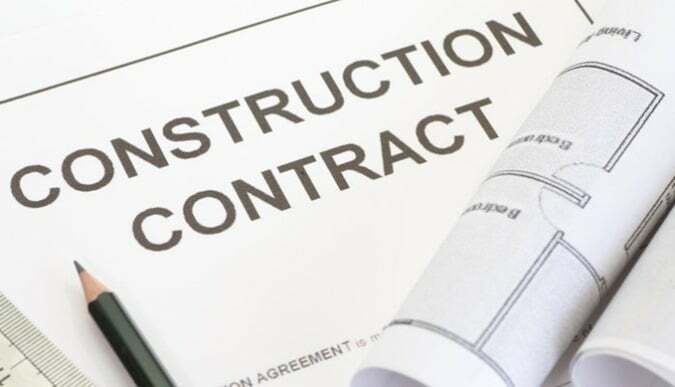 There are many types of contracts used in construction. Each type has its advantages and disadvantages with respect to the owner and the contractor. They are categorized in two major groups as per method of payment to the contractor. All risks are assigned to the contractor, there isn’t any risk carried by the owner. The contractor has incentive in this contract as he is rewarded for early finish and there is penalty for late finish. This contract is ideal when the project scope is well defined at the design stage because there is limited flexibility for modifying the design during construction period. The total price of the project in unit price contract is based on the price of each item’s unit. The contractor is paid as per the rates of items specified in the bill of quantity. The risk is shared with the contractor and the owner. This type of contract has more flexibility for design changing than the lump sum contract. The construction of the project can be started before finishing the designs so the total cost of the project will be uncertain at the early stages of the project. The contractor is paid based on the actual cost of the project including direct and indirect costs plus specific fee. This fee could be a fixed fee or percentage of costs. All risks are assigned to the owner and he gets involved with the contractor in the management of the project. The contractor has no risk in case of increasing the cost of the project, also there isn’t any incentive for early finish. This type of contract is ideal when the project scope is uncertain in the early stages of the project. The contractor can start the execution of the project before finishing the design. It is impossible to estimate the cost of the project before the construction has been finished. Target cost contract has mutual features of the lump sum and cost plus contracts. The contractor is paid based on the actual costs plus a certain fee either fixed or percentage of total cost in case of the cost of the project doesn’t exceed certain target cost specified by the owner. There is risk carried by the contractor in case of increase in cost of construction project. The contractor is also rewarded a percentage of any savings between target and actual cost.